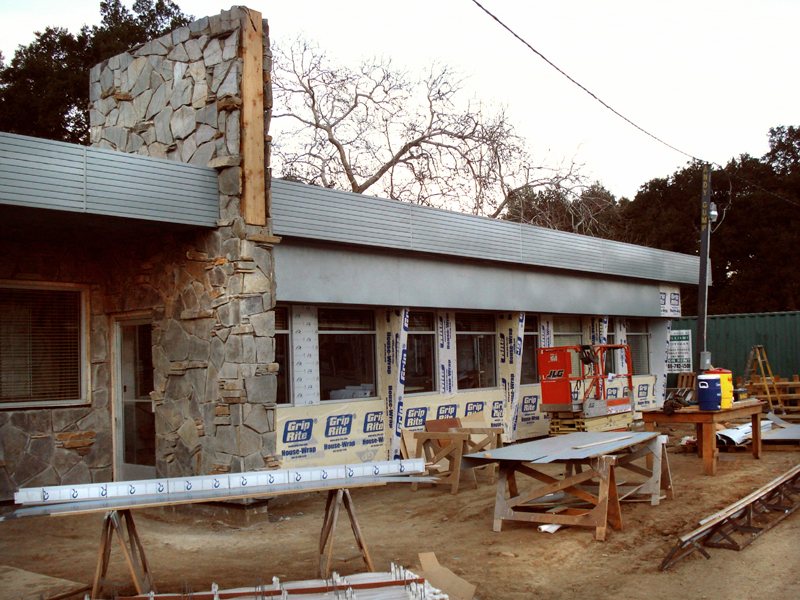 April 2011 — Construction of the diner set in the Business District at The Walt Disney Co.'s Golden Oak Ranch in Placerita Canyon. Sheet metal for the diner building was fabricated by Erik Meloni (Saugus High 1987) for Alternative Metal Works of Valencia. EM1101: 19200 dpi jpeg from digital image by Erik Meloni.